A short glossary of the more frequently used terms for Directional Drilling is included here and is intended only as an aid in understanding directional drilling terminology and is neither a definitive work in the field nor by any means complete. The following are some of the more important and commonly used terms. The target, or objective, is the theoretical, subsurface point or points at which the wellbore is aimed. In the majority of cases it will be defined by someone other than the directional driller. Usually this will be a geologist, a reservoir engineer or a production engineer. They will often define the target in terms of a physical limitation - i.e. a circle with a specified radius centred about a specified subsurface point. If multiple zones are to be penetrated, the multiple targets should be selected so that the planned pattern is reasonable and can be achieved without excessive drilling problems. Some care should be taken with target definition. Any target can be reached - given enough time, money and effort but the economics of drilling dictate the use of as large a target as possible. A horizontal circle of given radius about a fixed subsurface point. A circular, square or rectangular shape with at least one side fixed by a physical constraint e.g. a fault, a formation change (salt dome), legal boundary etc. Targets may be defined as an angle limitation at depth - e. g. 2o or 5o from projected trajectory. When targets are defined the directional driller must also know the true vertical depth at which the target applies. In some cases this depth may not be available within several hundred meters and could be specified as the wellbore intercept of a given formation top. This top of target would almost certainly preclude the use of Build and Hold wells and require use of "S" shaped wellbores. Target displacement is defined as the horizontal distance from the surface location to centre of the target in a straight line. This is also the directional summation of the departure (the due East or West displacement) and the latitude (the due North or South displacement). The target bearings are a measure of the direction in degrees, minutes and seconds (or decimals) and typically expressed with reference to well centre. True Vertical Depth (TVD) is the depth of the wellbore at any point measured in a vertical plane and normally referenced from the horizontal plane of the kelly bushing of the drilling rig. This is the point at which the first deflection tool is utilized and the increase in angle starts. The selection of both the kick off point and build up rate depend on many factors including the formation(s), wellbore trajectory, the casing program, the mud program, the required horizontal displacement, maximum allowable dogleg and inclination. This Kick Off Point (KOP) is carefully selected so the maximum angle is within economical limits. Fewer problems are faced when the angle of the hole is between 30o and 55o. The deeper the KOP is, the more angle it will be necessary to build, possibly at a more aggressive rate of build. The KOP should be at such a depth where the maximum angle to build up would be around 40o; the preferred minimum is 15o. In practice the well trajectory may be calculated for several choices of KOP and build up rates and the results compared. The optimum choice is that which gives a safe clearance from all existing wells, keeps the maximum inclination within the desired limits, avoids unnecessarily high dogleg severity's and is the best design from a cost point of view. The change in inclination per measured length drilled (typically o/100' or o/30 m). The build rate is achieved through the use of a deflection tool (positive displacement motor with a built in adjustable housing or purposefully designed stabilized bottomhole assembly). This is the part of the hole where the vertical angle is increased at a certain rate, depending on the formations and drilling assembly used. During the Build Up the drift angle and direction are constantly checked in order to see whether a course correction or change in build rate is required. This part of the hole is the most critical to assure the desired wellpath is maintained and the final target is reached. This section, also called the Hold Section, is a straight portion of the hole drilled with the maximum angle required to reach the target. Subtle course changes may be made in this section. Many extended reach drilling projects have been successfully completed at inclinations up to 80o, exposing much more reservoir surface area and reaching multiple targets. However, inclination angles over 65o may result in excessive torque and drag on the drill string and present hole cleaning, logging, casing, cementing and production problems. These problems can all be overcome with today's technology, but should be avoided whenever there is an economic alternative. Experience over the years has been that directional control problems are aggravated when the tangent inclination is less than 15o. This is because there is more of a tendency for bit walk to occur, i.e., change in azimuth, so more time is spent keeping the well on course. To summarise, most run-of-the-mill directional wells are still planned with inclinations in the range 15o - 60o whenever possible. In S-type holes, the drop section is where the drift angle is dropped down to a lower inclination or in some cases vertical at a defined rate. Once this is accomplished the well is rotary drilled to TD with surveys taken every 50m (150'). The optimum drop rate is between 1o- 2 degree per 30m and is selected mainly with regard to the ease of running casing and the avoidance of completion and production problems. This course length is the actual distance drilled by the well bore from one point to the next as measured. The summation of all the course lengths is Measured Depth of the well. The term is usually used as a distance reference between survey points. On many well plans, the horizontal projection is just a straight line drawn from the well centre or slot to the target. On multi-well platforms it is sometimes necessary to start the well off in a different direction to avoid other wells. Once clear of these, the well is turned to aim at the target. 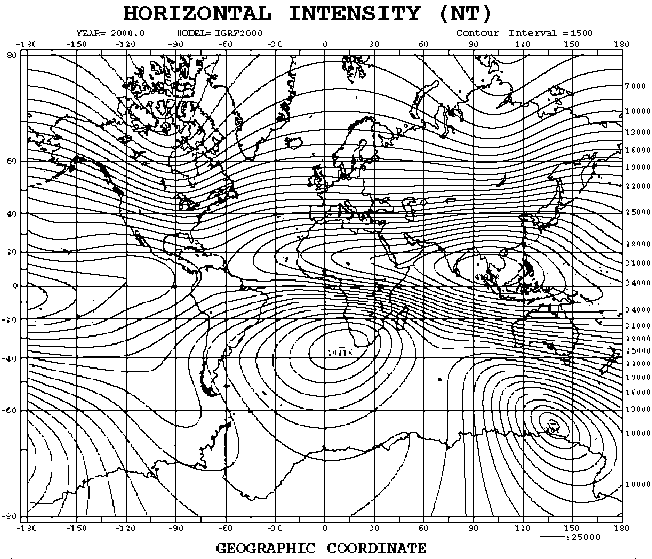 The path of the drilled well is plotted on the horizontal projection by plotting total North/South co-ordinates (Northings) versus total East/West co-ordinates (Eastings). These co-ordinates are calculated from surveys. The Vertical Section of a well is dependent upon the bearing or azimuth of interest. It is the horizontal displacement of the well path projected at 90o to the desired bearing. Since roller cone bits used with rotary assemblies tend to "walk to the right", the wells were generally kicked off in a direction several degrees to the left of the target direction. In extreme cases the lead angles could be as large as 40o. The greatly increased use of steerable motors, changes in conventional rock bit design and the widespread use of PDC bits for rotary drilling have drastically reduced the need for wells to be given a "lead angle". Most wells today are deliberately kicked off with no lead angle, i.e., in the target direction. Doglegs or sudden changes in hole angle or hole direction were recognized as a major potential problem by the pioneers of the drilling business. When it was possible to determine that a rapid change in angle had occurred, their solution was automatic-plug back and start over. Perhaps it is well that detection procedures were not highly defined or else a hole may never have reached total depth. Modern surveying techniques indicate that no hole is perfectly vertical. Any hole has a tendency to spiral. In fact, some holes surveyed made three complete circles in 30m (100 feet). Spiraling is reduced as the deviation from vertical increases. The maximum spiraling occurs at angles less than 30o from vertical. At angles greater than 50o from vertical, the hole may move in a wide arc, but spiraling is almost non-existent. Doglegs are a major factor in many of our more severe drilling problems. Doglegging should be suspected when the following problems are encountered: (1) unable to log, (2) unable to run pipe, (3) key seating, (4) excessive casing wear, (5) excessive wear on drill pipe and collars, (6) excessive drag, (7) fatigue failures of drill pipe and collars, and or (8) excessive wear on production equipment. The previous sections have talked about some of the problems with doglegs but how do we define and calculate the value. Dogleg is a measure of the amount of change in inclination, and/or azimuth of a wellbore, usually expressed in degrees per 30m (or 100') of course length. All directional wells have changes in the wellbore course and therefore have some doglegs. The dogleg severity is low if the changes in inclination and/or azimuth are small or occur over a long interval of course length. 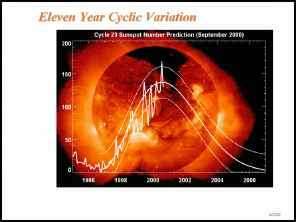 The severity is high when the inclination and/or azimuth changes quickly or occur over a short interval of course length. The line of closure is defined as a straight line, in a horizontal plane containing the last station of the survey, drawn from the projected location to the last survey station of the survey. Simply stated, the closure is the shortest distance between the surface location and the horizontal projection of the last survey point. The closure is always a straight line since that represents the shortest distance between two points. When defining closure, the direction or azimuth must also be given. Without indicating direction, the bottom hole location projected in a horizontal plane could be anywhere along the circumference of a circle defined by a radius equal to the closure distance. The azimuth and closure distance accurately specifies the bottom hole location relation to the surface location. The vertical section is the horizontal length of a projection of the borehole onto a specific vertical plane (Azvs) and scaled with vertical depth. When the path of a wellbore is plotted, the vertical section is plotted versus TVD. The closure distance cannot be plotted accurately because the plane of closure (closure direction - Azcl) can change between surveys. The vertical plot of a wellbore is in one specific plane. 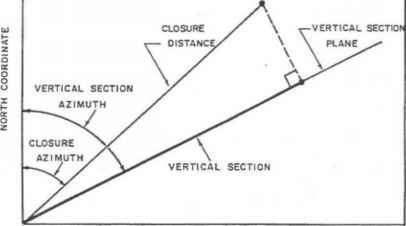 The closure distance and vertical section are only equal when the closure direction is the same as the plane of the vertical section. 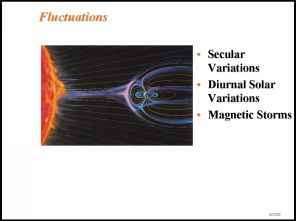 1000 dBz (nT) error 7 Bt = 59000 .
why drilling toward east or west direction the magnetic interferences error are high? Why do magnetics increase with angle in the hole directional drilling? What is it required to be directional driller? What is dogleg severity in directional drilling? How to calculate directional build rate per 30m? How to define vertical section in directional drilling? Can you theoretically turn a wellpath without building angle? How do drilling rigs kick off? What is closure azimuth directional drilling? How to plot directional survey x and? How to draw a vertical section in directional drilling? Why directional drilling prefer north south azimuth? What is closure distance in directional drilling? How to calculate vertical section in directional drilling? Why it is preferred to use a tangent section during horizontal drilling? What are impact of changing DLS and azimuth at same interval in directional drilling? What is drift angle in directional drilling? What is horizontal well closure? How directional drillers drill the well and the terminalogy they use? How to calculate drift in directional well? What is closure length id directional drilling? 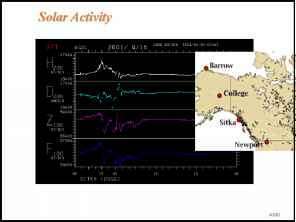 What is the sudden change in the inclination of well or direction of well's trajectory? What is the angle of drill drift? How is inclination changed with dogleg serveriy? What is directional survey closure? WHAT IS THE HORIZONTAL DISPLACEMENT OF A WELL? Which is the best drilling opertion when compared to angular drilling vs straight drilling? What is the bearing angle of surface drill? What does pull point mean in directional boring? 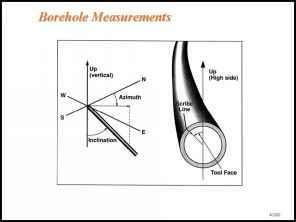 What is a bottom hole survey? What is drilling straight section? What does "entry point" mean in horizontal drilling? What does bulding angle mean horizontal drilling? What is the vertical section of a horizontal well? What does high build rates in drilling mean? What is section drift in directional drilling?